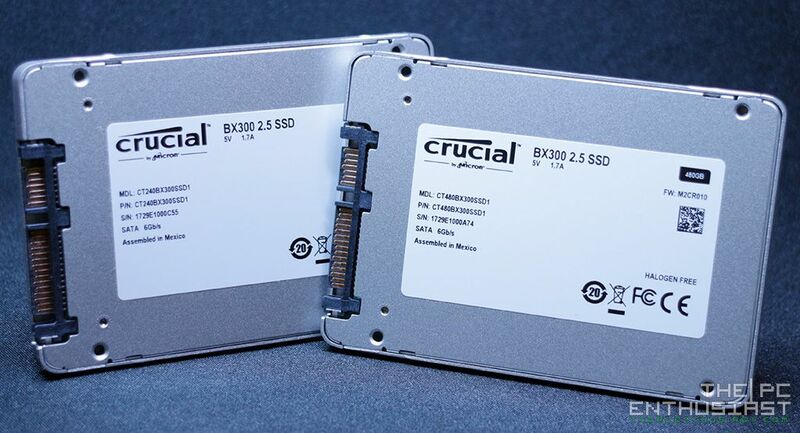 A couple of months ago, Crucial released their latest budget friendly Solid State Drive (SSD) – the Crucial BX300 SSD series. The new BX300 is basically the successor of their previous BX200 series, and it’s (more or less) like the budget friendly version of their MX300 lineup. 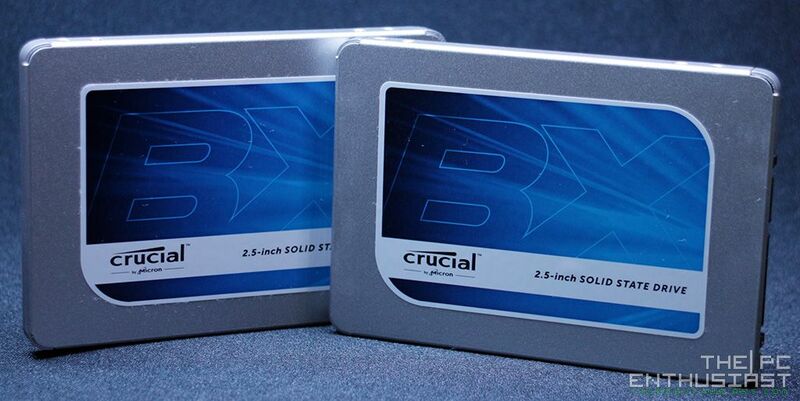 Today we are going to look at and review the Crucial BX300 240GB and 480GB SSD capacities. The company released three capacities; 120GB, 240GB and 480GB. Unfortunately, the BX300 series is limited up to 480GB capacity as of today. However, I think the main selling point of these new SSD series is their value; offering great performance at a lower cost. If you are in the market looking for an affordable SSD solution; or you simply want to upgrade from a slow (and old) hard disk drive to a faster solid state drive for your OS drive without spending much, please continue reading our Crucial BX300 SSD review below. The Crucial BX300 series is the latest entry-level solid state drive storage solution from the company. The BX300 series offers affordable pricing without sacrificing performance. 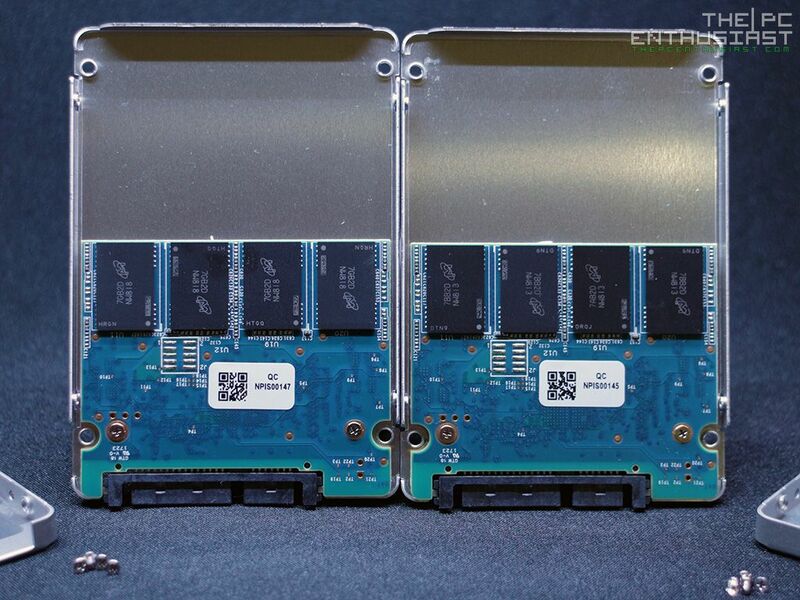 Generally speaking, SSDs are easy to install, more energy efficient than a typical hard drive but significantly faster than any (typical) hard disk drive. So what’s new with the BX300 series? 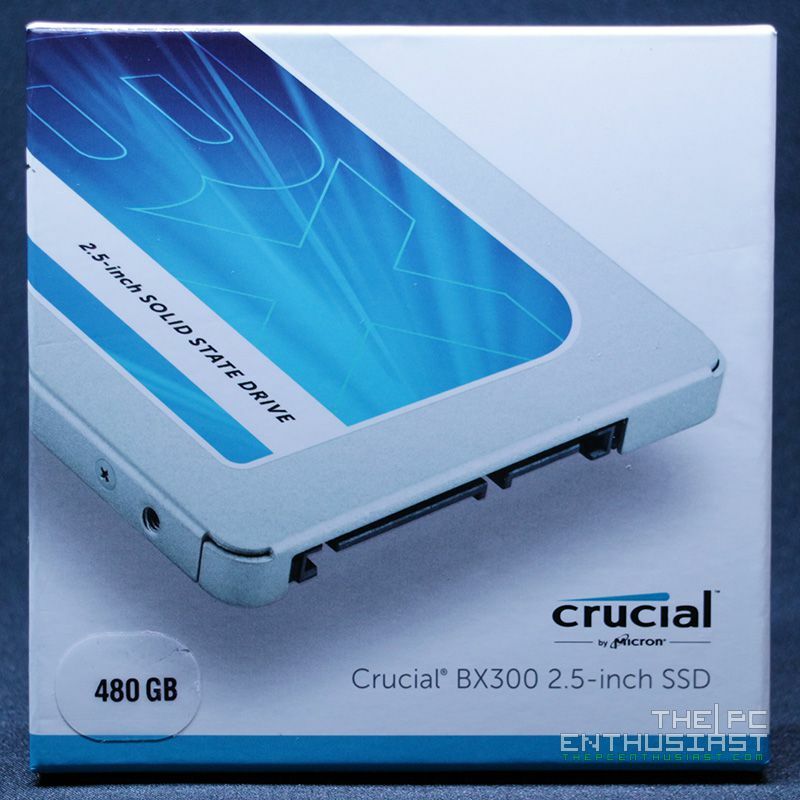 Crucial went back into using MLC type of NAND, just like what they used on the BX100 series. However, the MLC NAND they used on the new BX300 is new and faster compared to previous generations. They are now using a 32-layer 3D MLC Micron 256 Gbit NAND chips. 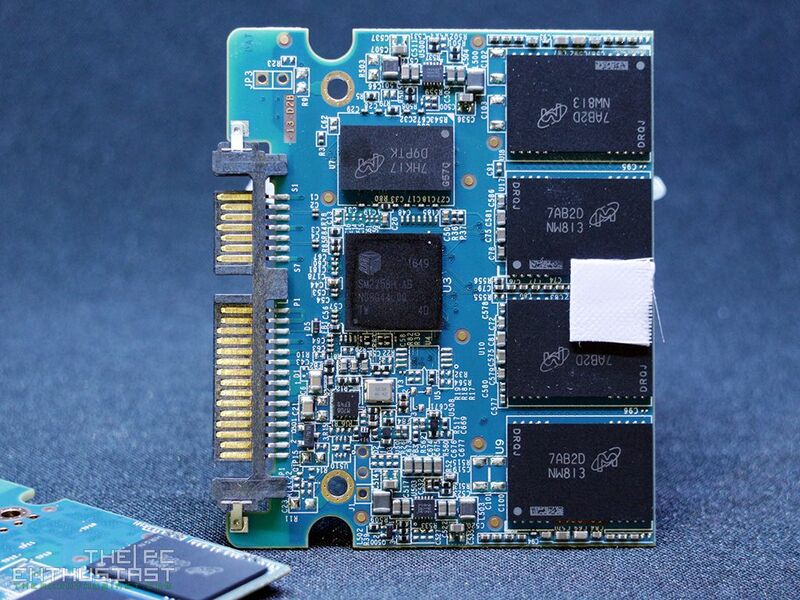 These 3D NAND chips are basically faster and more efficient compared to the older types of NAND. And they are able to produce lower capacity SSDs thanks to this. Crucial decided to stick with Silicon Motion for the controller of the BX300, but this time it’s the newer SM2258. The new BX300 SSD series comes with advanced features like: Multi-step Data Integrity Algorithm, Thermal Monitoring, SLC Write Acceleration, Active Garbage Collection, TRIM Support, Self-Monitoring and Reporting Technology or SMART, Error Correction Code or ECC and Device Sleep Extreme Low Power Mode or DEVSLP. This drive is basically an ideal solution if you are looking to upgrade your laptop or PC’s OS drive, specially if it is still using a mechanical hard drive. With an SSD for your OS drive, your system will boot up (significantly) faster compared to a hard drive and applications will load faster as well. It can also be used as a game drive so that games will load faster. Currently, the BX300 SSD series is only available in 120GB, 240GB and 480GB capacities; and it doesn’t come with any encryption protection (unlike the MX300 series). Although, it is not really a big deal unless you’re storing sensitive and confidential data on the BX300. This is not the drive for you if you need encryption protection to protect your data. Below are two specs table; one is a comparison between the different BX series, including the MX300; and the other is the specs of each capacity under the BX300 series. Crucial’s packaging has been similar with every SSD series. This is how they packed their SSDs since; it’s simple yet effective and pleasing; no fuss. 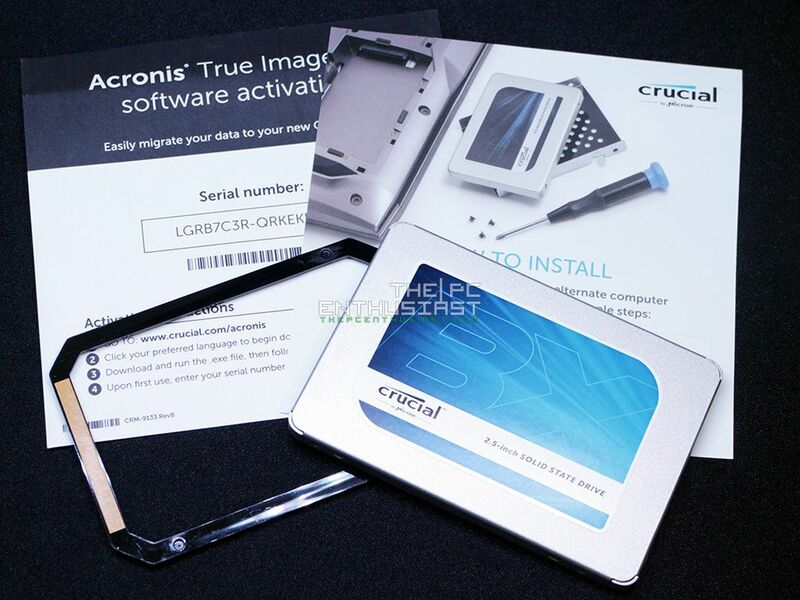 The package includes the SSD itself, a 7mm to 9.5mm spacer, quick installation guide and the Acronis True Image HD software activation code. 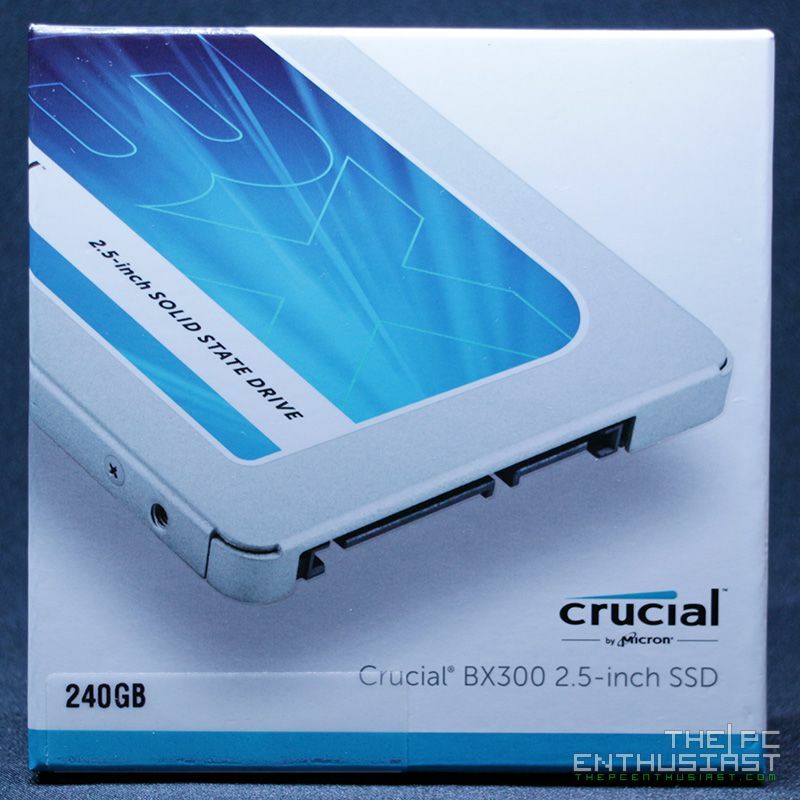 Crucial is still using a silver casing for their SSD, with minimalist design and label. Some information regarding the SSD, like the capacity, product, model and serial numbers, interface, voltage and ampere are printed on the sticker at the back side. Opening the BX300 is very easy; simply remove two screws on each side and open the case. Although, I strongly advise that you avoid opening the drive as it will void the warranty. Inside, you’ll see a half sized PCB with eight NAND chips on each side for the 240GB and 480GB capacities. You can also see the Silicon Motion SM2258 controller and the DDR3 DRAM cache next to it. There’s a thermal pad on the controller, as well as on the NAND chips; and the aluminum casing itself acts as a passive heatsink to cool these chips. Next page, let’s see how we tested these drives and the benchmark results.